Check in here as Dave keeps you up to date with his adventures! 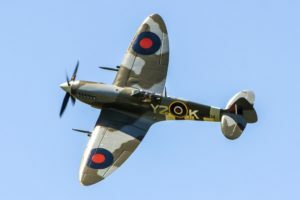 A spectacular summer! Dave flew Spitfire Mk IX C-GYQQ to Comox, on Vancouver Island, and back. 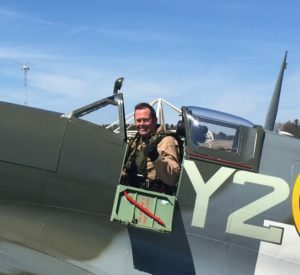 It turned out to be over “5000 miles In A Spitfire”. No one has flown the iconic interceptor on a journey anything like this in modern times. There were airshows, PR events, dinners, speeches, veterans, appearances, forest-fires, and a million magnificent memories. 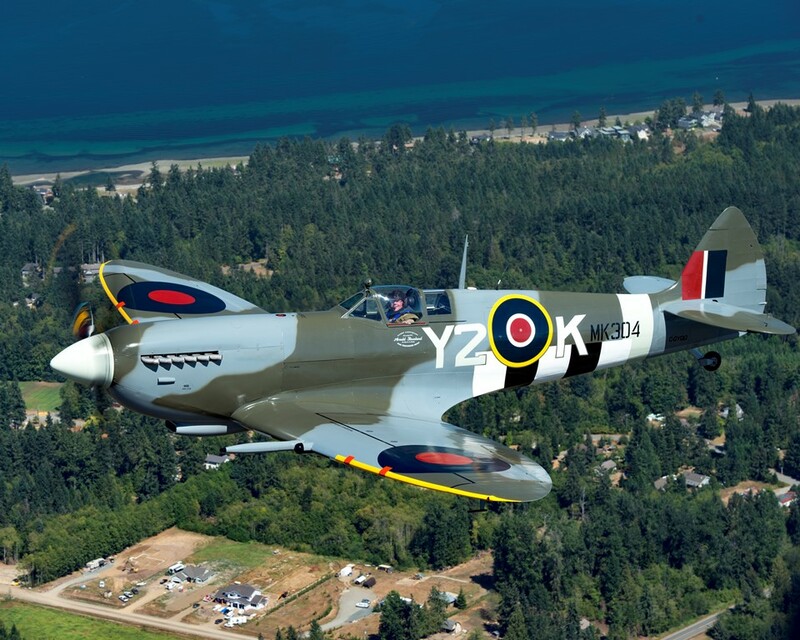 Pilot Dave Hadfield pilots the Y2K Spitfire over the Comox Valley on August 09, 2018. 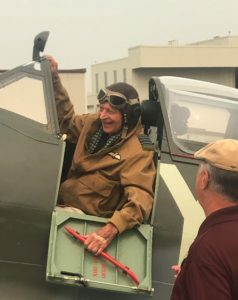 Canada’s highest scoring surviving ace — Stocky Edwards — in the flying helmet he brought back from missions in 1945. It happened! 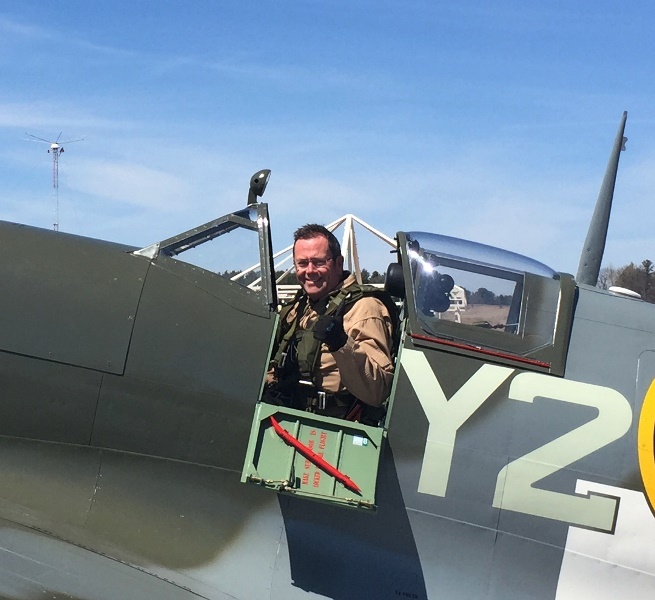 In a weekend that was like a pilot’s dream, I flew the Harvard, the Mustang, and the Spitfire! Winter finally ended. The spring gales finally eased. The snowbanks started to diminish. 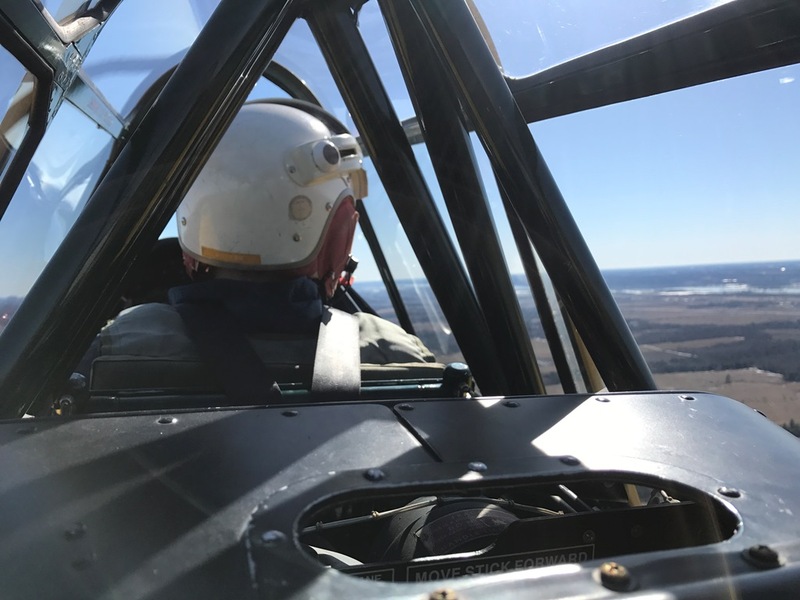 I “borrowed” Robin’s RV6a, flew to YND, and began the process: first, there was my yearly Qual Ride in the Harvard. I had the great pleasure of flying with John Aitken, the Chief Pilot. 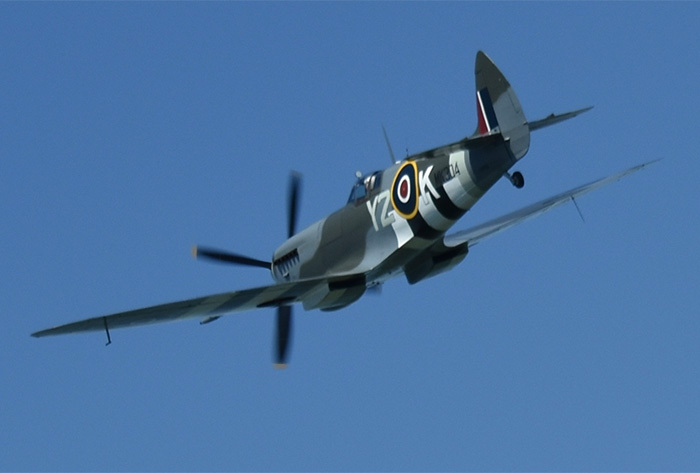 Then, since the airplane was clearly undamaged, it was a re-qual in the Mustang. 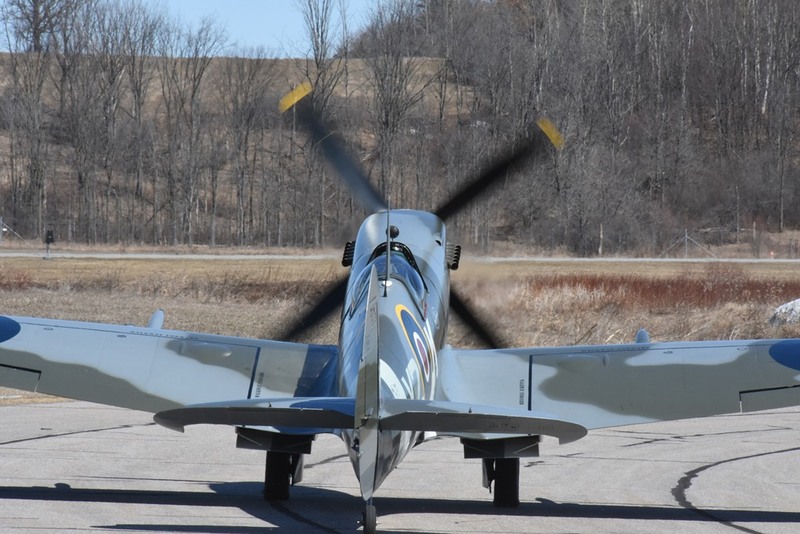 After which, knocking my skull repeatedly to shift from American to British specifications, my very first flight in this gorgeous, new, PERFECT Spitfire IX. 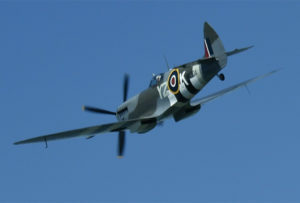 Let me tell you, it has been a LONG, LONG, LONG time since I built an Airfix 1/72 scale model of a Spitfire! 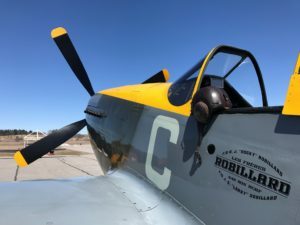 To fire one up, taxi it out (the hand-brake system is perfect BTW), roar off the runway, and find to my delight that it looked after me — the newbie — more than I looked after it, was a life-culminating achievement for a pilot. Then, back into the RV6a and fly back to Edenvale before the wife notices I took it.! Back in a couple of days — we need to fly off 20 hours before we take it to Oshkosh, and all the way out to Comox, B.C.